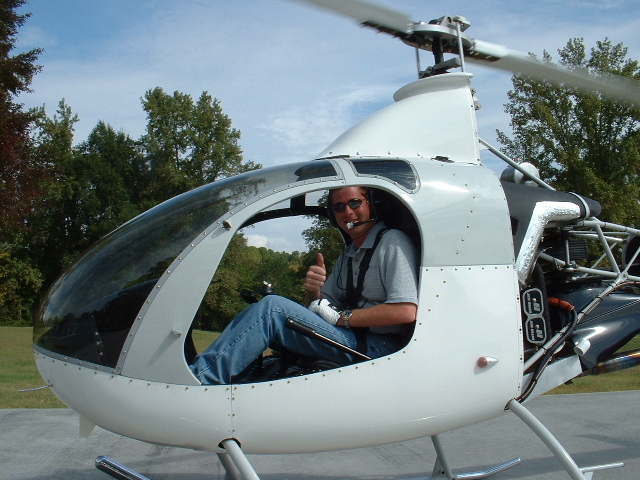 After a professional builder constructed their Rotorway Exec 162F this Father and his sons hired Orv to travel to their location in Texas to teach them how to fly it. They kept their flight instructor busy with eight hours of flight training every day. 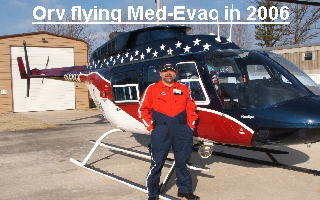 They put over 60 hours on the helicopter and the only mechanical problem they had was a leaking water pump seal. Orv quickly showed them how to replace that and they were back in the air in short order. 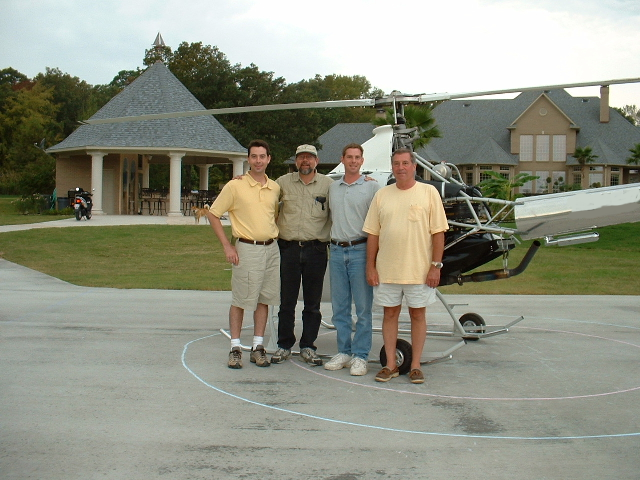 Here father and two sons with their helicopter flight instructor. From the left Bret, Orv, Brian, and Steve. This photo was taken mid-way through their phase I flight training. 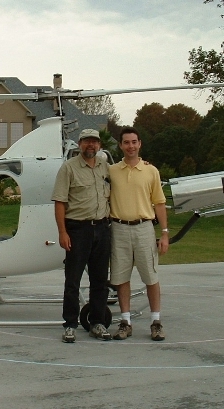 The above photo was taken of Orv and Bret following Bret's first solo to altitude flight. The above photo shows a happy Brian following his first solo to altitude flight. 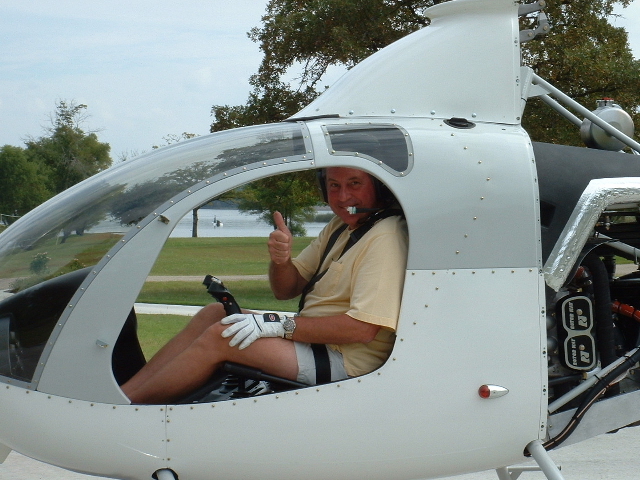 Above Steve gives a thumbs up after landing back on their Texas helipad following his first solo flight to altitude.